Kartell counts the hours and presents its first wall clock with Tic & Tac. 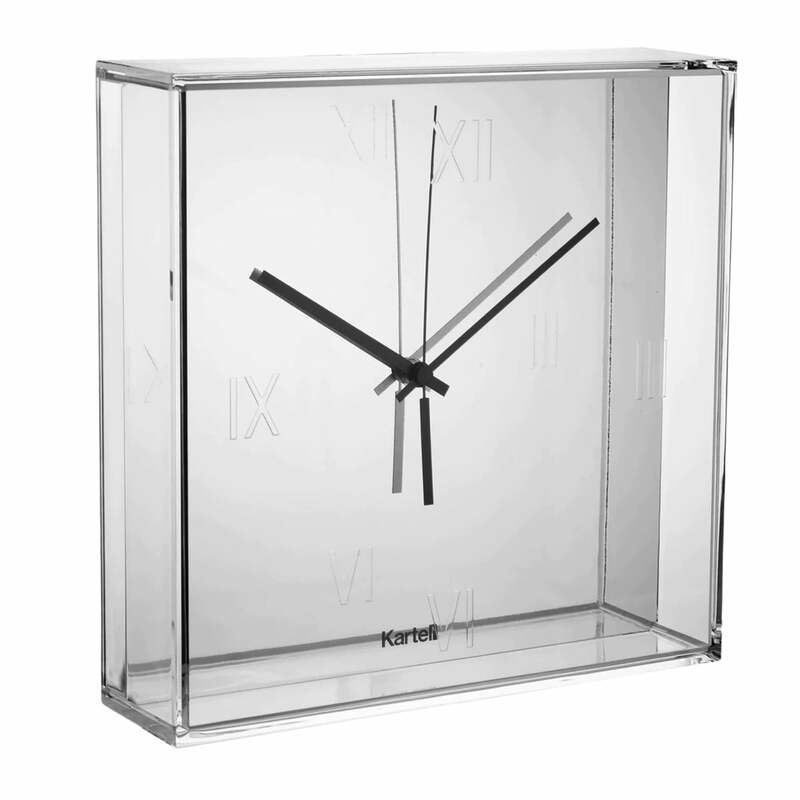 Star designer Philippe Starck designed Tic & Tac as a transparent, square box with engraved Roman numbers on the outside, including a flat-formed dial inside. The Tic & Tag clock is available in three editions (white, black or chromed) with two distinctive, colourful, flat pointers. A colourful harmony converting time in an aesthetic experience emerges. The unmistakable handwriting of Philippe Starck is emphasized by the orange of the pointers, the preferred colour of the designer. The dial of the Tic & Tac wall clock consists of transparent PMMA, the housing of dyed-throughout or metal-plated ABS-plastic. Thanks to its high wall-strength the Tic & Tac clock additionally creates a game of light and reflections. Time is very clear and easy to understand. 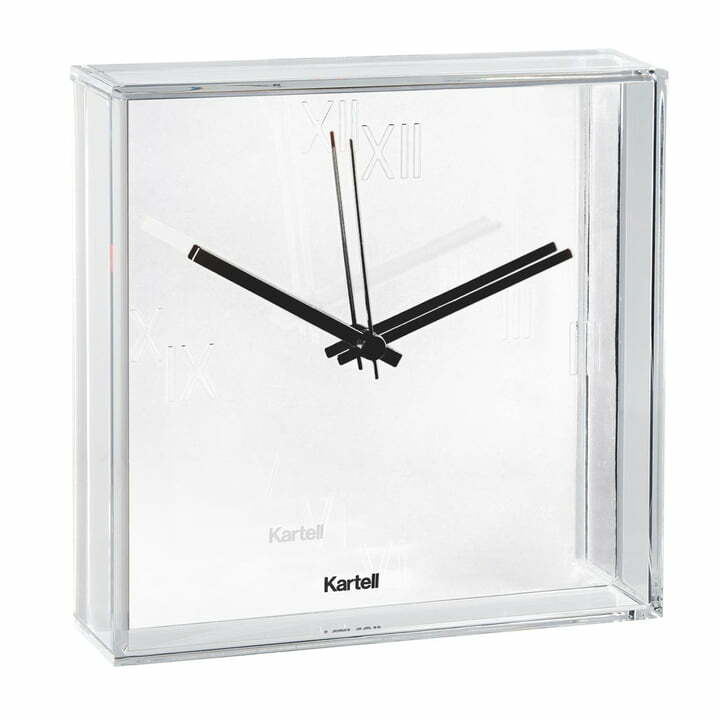 The point is, easy to use, and if you want to make your home stylish and stand out, I think this clock is what you need.